The movie was good enough to say it actually feels criminally overlooked, having missed out on a theatrical release due to financial issues and landing on DVD a good year later. Filmed barely 3 years after the disaster in what appears to be on location (though if you told me it was a studio, I wouldn’t surprised), Hurricane Season is an impressive addition to a sports formula we all know and would have done well as an uplifting family cinema experience given the way it was shot and an excellent cast. Similar to Disney’s Glory Road in being a basketball movie with an agenda it’s worth watching because of the robust direction, keeping the basketball action in line with it’s message and not overshadowing it and not being to heavy handed with the emotion. Forest Whitaker plays the coach obsessed with his school team and keeping his community together. As usual, he is excellent and carries the movie alongside his wife, Taraji P. Henson. Worth mentioning are the young actors playing the team are also great with welcomed fresh faces. Mixing the team rebuilding and competing for the state championship with the struggle felt within the small community in the aftermath of Katrina, the film achieves a nice balance of sports drama and human triumph. A decent script helps that work and Whitaker’s predictably impending speech during the ‘big game’ towards the end will give you chills. 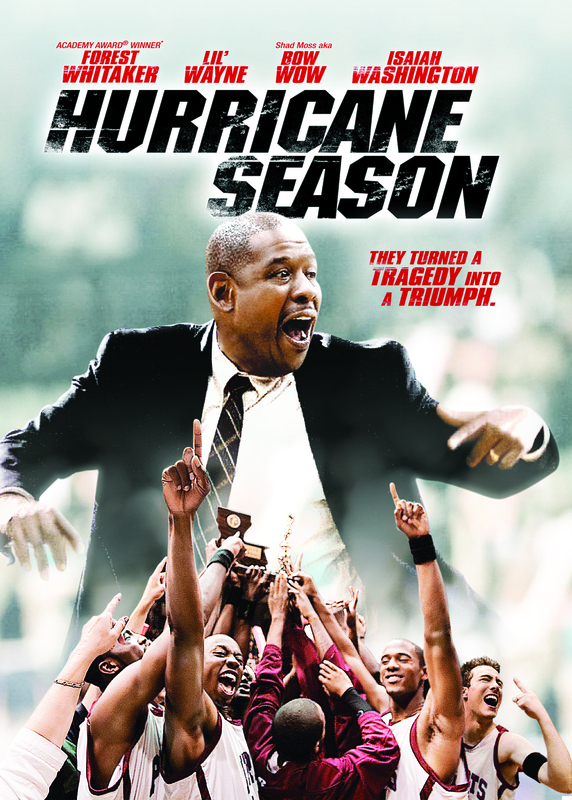 A unique, intense backdrop and fresh execution make Hurricane Season a worthy matinee for basketball fans and non-fans alike but it won’t redefine the genre and present anything we really haven’t seen before, but it is a shame it is not seen more as it is still better than most. This entry was posted in Film Reviews and tagged Basketball, Biopic, Family Movie, Forest Whitaker, Hurricane Katrina, Hurricane Season, Sports Movie. Bookmark the permalink.